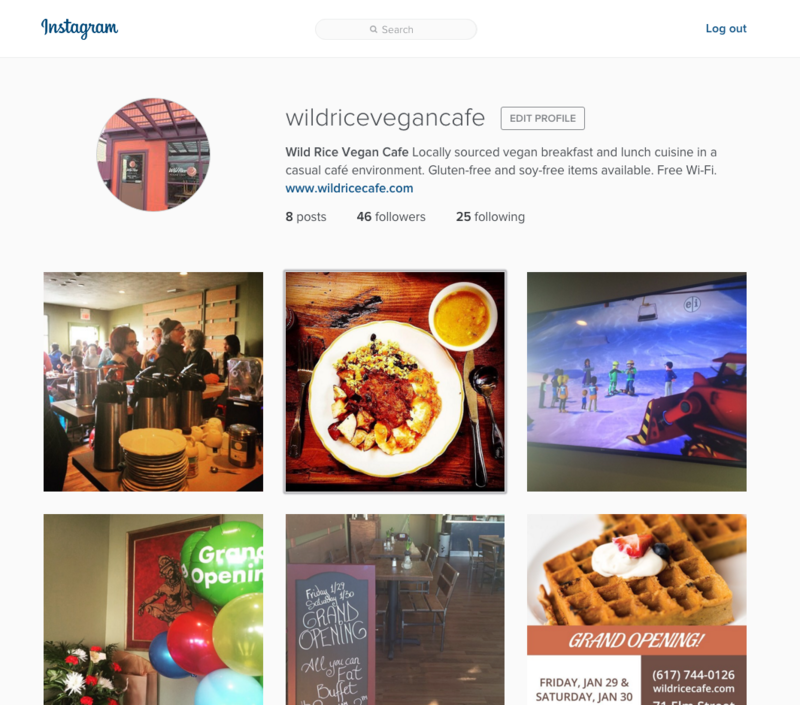 Wild Rice Vegan Cafe launched as a sister cafe to a popular fine dining restaurant right outside Boston, Massachusetts. Our PR efforts began with online research to build a list of media contacts and food bloggers. We also included contacts who had written articles about Red Lentil, the chef / owner’s well-established, popular flagship restaurant, also located in Watertown, Massachusetts. 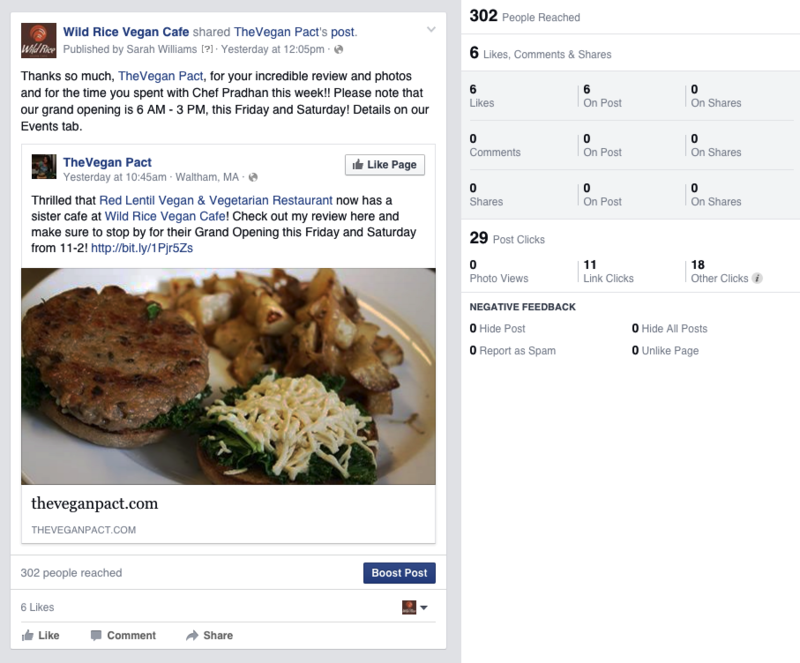 We then used Meetup.com, Facebook, and other social sites to locate health-conscious, social, and foodie groups, specifically those likely to be intrigued by the restaurant’s 100% vegan menu and/or using the space for future gatherings. Lastly, we located all businesses within a one-mile radius likely to be interested in attending the event or utilizing the space. We then wrote a press release and pitch emails, which we distributed to the media, bloggers, and various online groups we had researched. 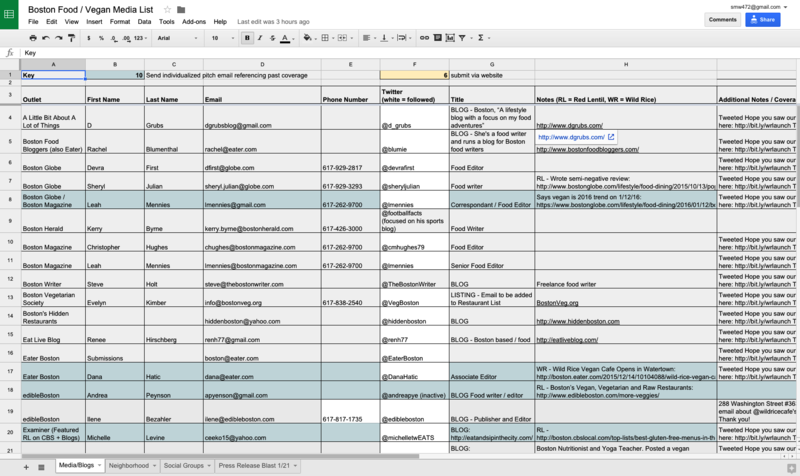 We coordinated through Twitter and email to reinforce connections made with the media, arrange in-person tasting sessions for bloggers, and locate and promote articles written about the restaurant prior to and following the event. The chef was featured on Boston’s NBC affiliate: WHDH-7 News “What’s Cooking” segment, which aired three times in various time slots, including the 10:00 news. 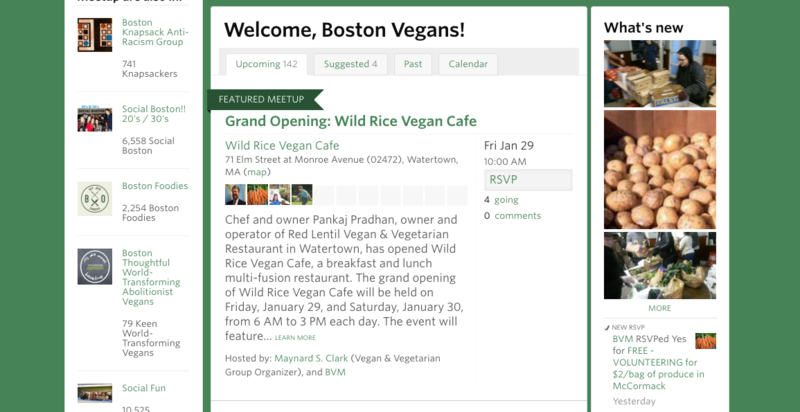 Highly active contact and Meetup.com coordinator for Boston Vegetarian Meetup and Boston Vegan Meetup—who is linked to Boston-area Master’s level vegan nutritionists, Facebook groups, and related associations—shared our press release with his colleagues and created four Meetup.com events across his two groups, reaching 550 members. 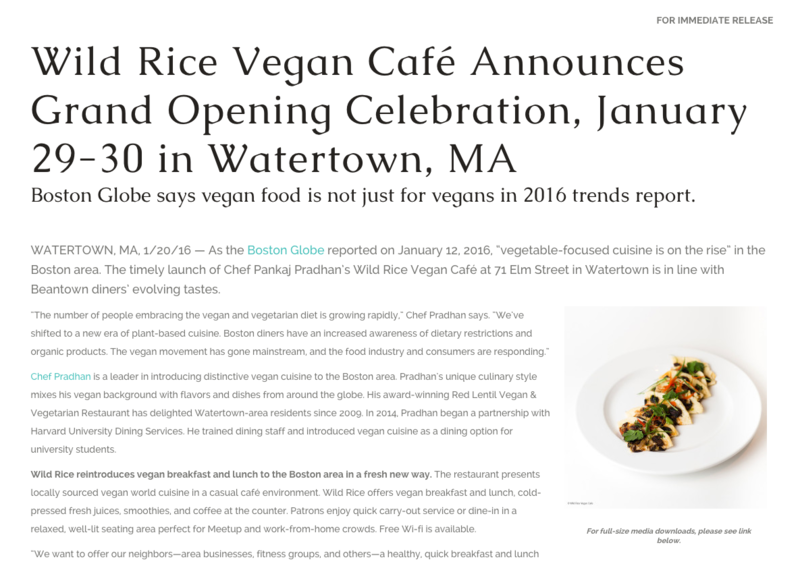 Highly visible Boston-area vegan blogger, who was unable to attend the grand opening, visited a few days before and positively reviewed the restaurant and her experience with the chef. She shared the piece with 5240+ Facebook fans, 1440+ Twitter followers, and 880+ Instagram followers. PR ResearchPR research to include media outlets, neighborhood locations, social groups. Restaurant Launch Press ReleasePress Release distributed to media outlets, food bloggers, social groups, and more. Social media would be our primary motivator, as we’d worked for several years already to grow the pages for the chef’s flagship restaurant. 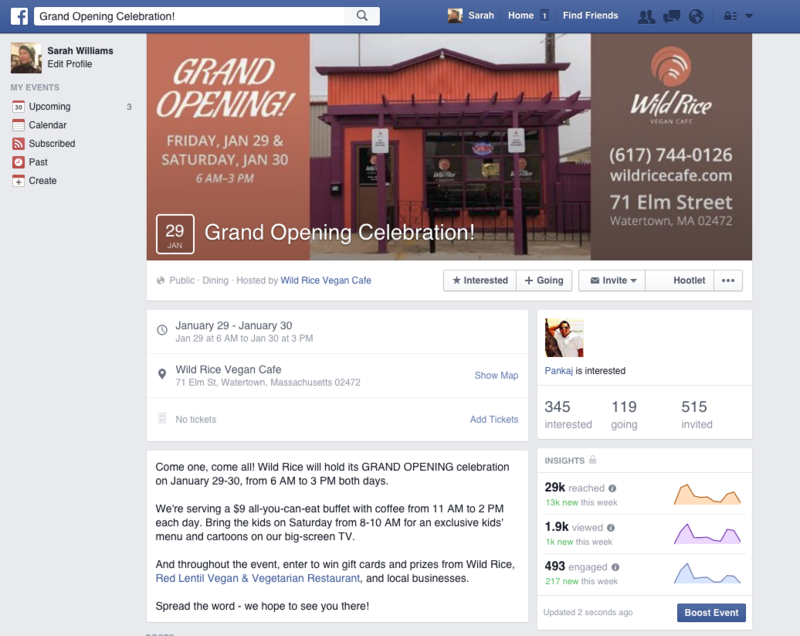 We created a Facebook event, which we drove people to through the email marketing campaign, Facebook posts, and Twitter. We posted to the restaurant’s growing number of Instagram followers, and we promoted all reviews and grand opening announcements to their Facebook page’s very active list of fans. During the event, we actively manned their Instagram, Facebook, and Twitter accounts, reposting patrons’ content, taking every opportunity to comment, thank fans, and otherwise grow and engage with their fanbase. In conjunction with our PR efforts, we created a number of printed marketing pieces—both for the overall brand and to promote the grand opening. We advised, due to the grab-and-go nature of the cafe, designing a single menu that could be used for both in-house and takeout purposes. 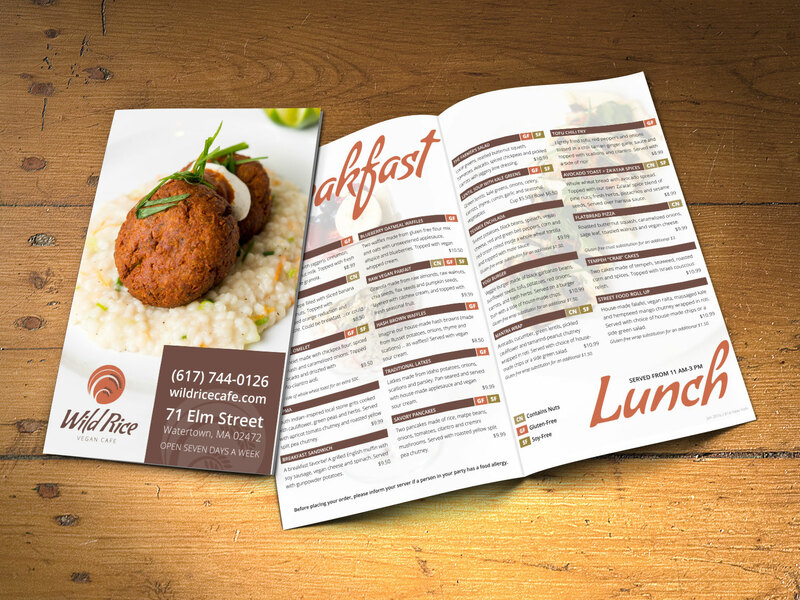 We created a bifold menu design that includes their breakfast, lunch, and beverage offerings, as well as callouts for delivery, catering, and space rental. We also designed a 10% off coupon to be handed out at the event and placed in to-go orders at Red Lentil. 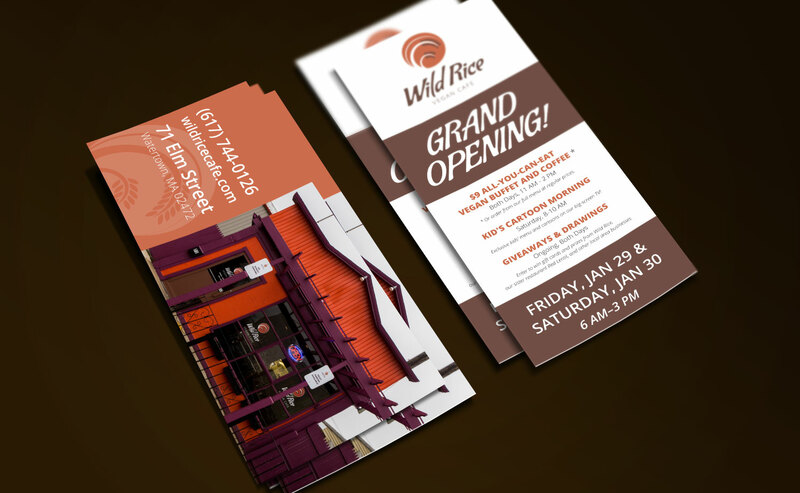 We designed a rack card to announce the grand opening, which included details about the location, the special events taking place, and the dates and times. 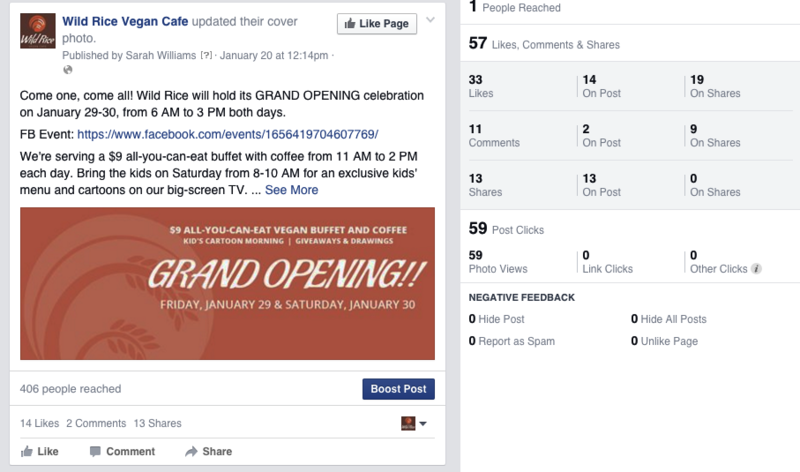 We distributed an email marketing campaign inviting a list of over 1700 opted in subscribers of both Red Lentil and Wild Rice to the grand opening event and listing the details, dates, and times. 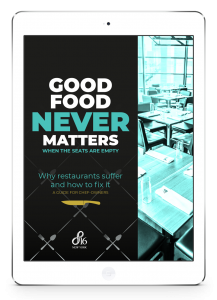 Proven ways to attract more customers to your restaurant! 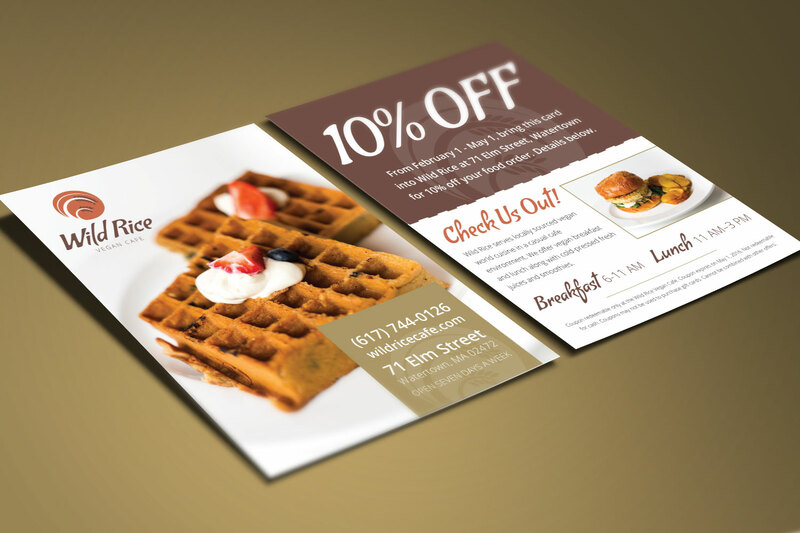 The owner and staff canvassed the neighborhood using the list of local businesses we had gathered during our PR research as well as his own connections to distribute a rack card tucked inside a menu, personally inviting locals to attend the upcoming event. 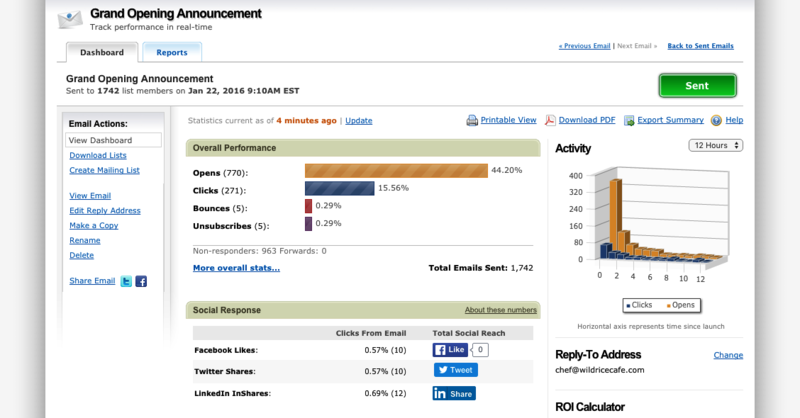 The email campaign generated a 44.2% open rate and 15.56% click-through, as well as 32 social media shares. 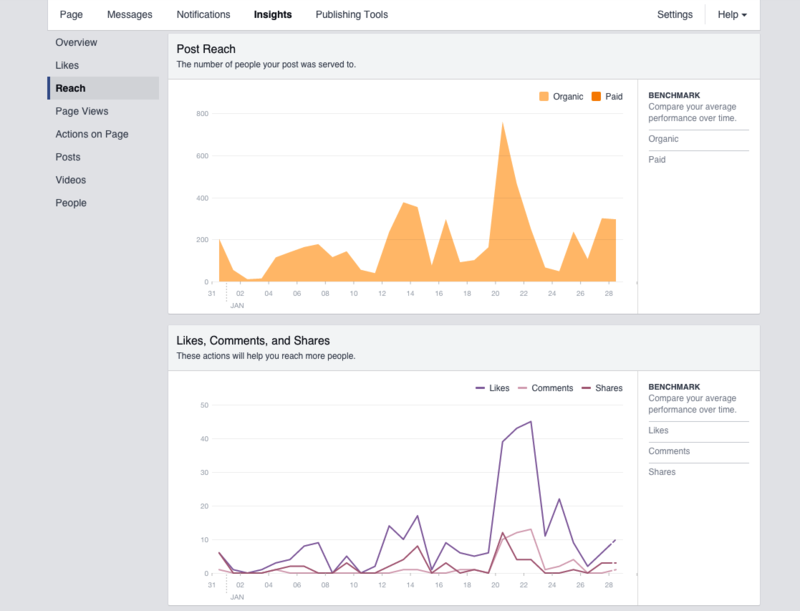 Through solely organic reach (no posts or events were boosted during this entire campaign), the Facebook event generated 29,000+ hits in overall reach, 1900+ views, and about 500 engagements. Over 115 people confirmed they were going, over 500 were listed as invited, and more than 340 indicated they were interested.